With Father's Day just around the corner on June 18th, you might be struggling to find just the perfect gift. 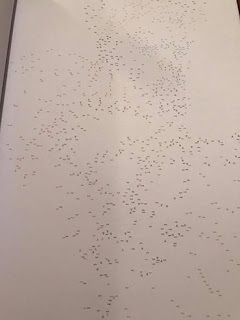 One thing my husband loves is Sci-fi movies. Guardians of the Galaxy 2 just released and it was a hit with him and my teens. 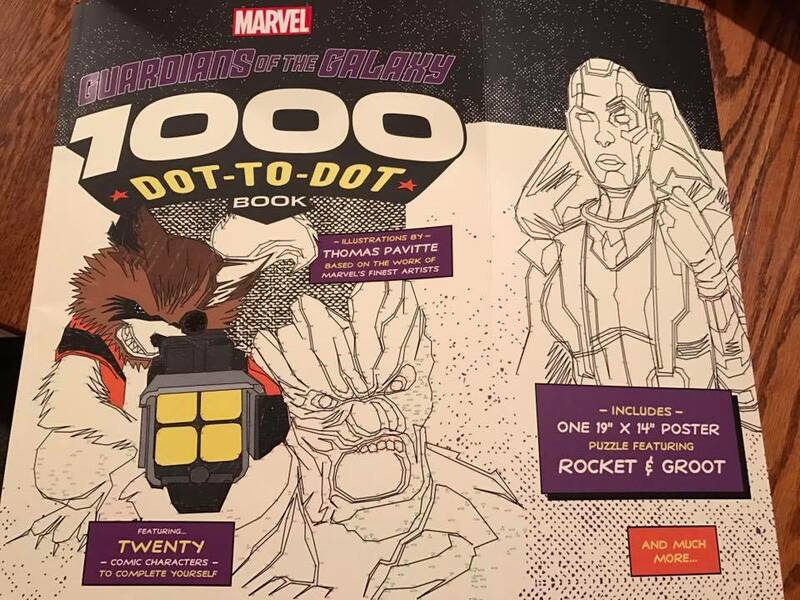 Marvel Guardians of the Galaxy 1000 Dot-to-Dot is an extreme dot-to-dot adventure. It is color coded to make it slightly easier but make no mistake this is a fun challenge. In the end you will create twenty different posters you can color in if you like. 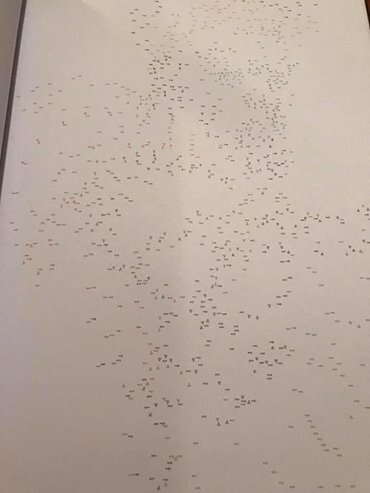 This is the perfect kind of craft for older kids and dads to work on. Join your favorite band of interstellar heroes on a thrilling adventure from best-selling dot-to-dot artist Thomas Pavitte. Featuring 20 complex puzzles to complete, each consisting of at least 1,000 dots, this book will bring hours of fun to fans of Rocket, Groot, Star-Lord, and the rest of the team. 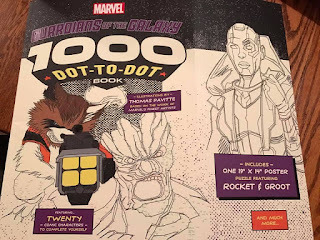 Marvel fans will have a blast bringing the Guardians and their foes to life! 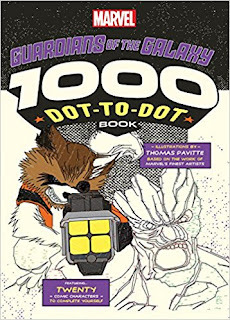 One lucky reader will win a copy of Marvel Guardians of the Galaxy 1000 Dot-to-Dot Book! Groot is my favorite character.